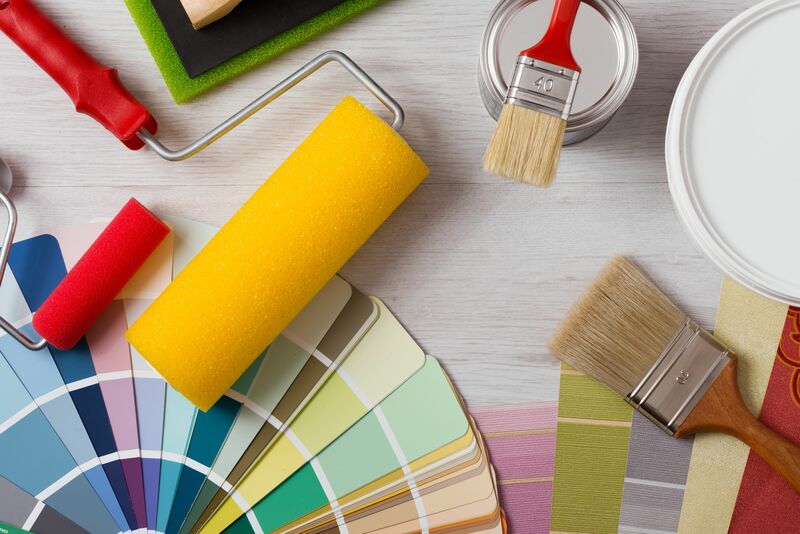 Painting of the house can be called the first line of defense against any critical comments family, friends and neighbors will bring up about your dream home. Any flaws in painting will be eagerly picked up by those fault finders who pretend to be your friends and well-wishers. You can help easily avoid painting flaws by following certain procedures. The only things you need other than painting accessories and materials are patience and time at hand to do an effective job. You don't need to be an expert when it comes to paints, but you should know certain things. Basically there are two kinds of paint: latex based and oil based. Latex-based paints dry faster and are cheaper. As a result, they are more commonly used than the other kinds of paints. Moreover, any stains on them can be cleaned with water. But for oil-based paints you need some thinner like turpentine for cleaning. Despite all these obvious disadvantages, these paints are ideal for metal surfaces. Also, on the walls that need frequent cleaning because of adhering dirt, oil-based paint lasts longer than other kinds of paints. Next is selecting suitable colors. That is entirely up to your tastes and imagination. After selecting appropriate colors, you have to select a finish. Several varieties of finish are available in the market. If you are not sure of which type to select, go for the semi-gloss type. Gloss type will make the walls too glossy. But again, this depends on your aesthetic sense. Almost all paint shops have the facility to show their customers how a particular paint and gloss would eventually appear on the wall. Now you have to make the walls ready to receive the paints. For that the walls should be absolutely clean. The paint will not adhere to the surface well if any dirt or grime is sticking to it. The walls should be rubbed clean using sponge mops and cleaned thoroughly. You can also use sand paper for rubbing the wall. Please do not underestimate this process. If you do not do this thoroughly, the paint will remain on the walls only for a short duration. Before you apply the first coat of paint on the wall, you have to put primer. Primer is applied for a stronger sticking of paints to the wall. Once you finished applying primer, you can start painting. Wait a sec! Have you covered the floor? Before starting with your painting, cover the floor and window glasses with cloth or paper. Drops of paint may fall down, especially while painting the ceiling and make a mess. There are two things to remember while painting. For horizontal surfaces, paint side to side. Conversely, for vertical surfaces, paint up and down. Have we painted you a good picture of painting? get started!